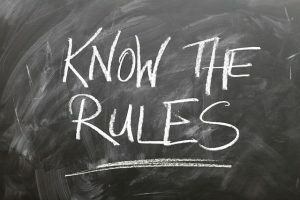 How to Aid Your Homeowners in Following the HOA Rules - Advanced Management Inc.
No one wants to be known as the militant HOA, but you still have to have rules and enforce them. After all, if you don’t, what is the purpose of the HOA in the first place? The truth is that it’s totally possible to get your homeowners to follow the rules without breeding ill will in your community. Here are some tips to help you do that. If there are rules that get broken a lot, there’s a good chance that homeowners don’t know about the rule or don’t understand it. You can send or email information to them about the rules, even offering diagrams and illustrations regarding what compliance and non-compliance look like. This is especially essential when you are making new rules or changing the existing ones. If you can help homeowners to understand why the rules exist and how they benefit from having them, they’ll be more likely to work hard to follow them. You can do this through education, and even by having board members visit personally with anyone who has questions. Sure, this can be a big investment of your time, but it will be worthwhile when your homeowners happily comply with the HOA regulations. If you have been lax about enforcing your HOA rules in the past, suddenly tightening down will only make homeowners angry. Instead, if you need to improve your rule enforcement, start by communicating that to the community members. Let them know which rules you’re going to be looking at (or which section of rules) and give them plenty of time to take action if they need to. Once you do start enforcing the rules again, you may want to offer warnings before you deliver consequences. Everyone in the community should face the same process and consequences when they break the rules. If you can’t enforce them consistently, maybe they shouldn’t be enforced at all. After all, homeowners will be quick to pick up on anything that looks like impartiality, and this will make them unhappy with the HOA and less likely to follow the rules themselves. Are there rules in your association that people end up breaking all the time? Then it’s time to take a second look at them. Are they overly complex? Poorly written? Confusing? Unnecessary? If too many people are having a problem with a particular rule, then the issue may like in the rule itself and not in the community members. While most HOAs have a few problem members, the truth is that the majority of people who live in these communities understand that the rules are there for a reason. They know that they signed up for an HOA and they understand how it works. Making it easier for them to follow the rules will help build trust and understanding in your community as a whole.